Google Play Store is the largest source to download Android apps and games. Some of these are free while some are paid too. Daily huge amount of latest applications is added in Google play store. Most of the popular applications, games are free to use but still there are some applications, games which are paid like Temple Run is one of the most played games and its free to use, but if you want to play Temple Run OZ then you will have to pay a decent amount. Most of the times you will find that Pro version of any application or game are paid. It is the most popular source available on the internet to download Android applications for free. You can download this app freely. Note: - This app is not available on Google Play Store. But you can download it here easily. Download Blackmart Alpha Application Form Here. Install it on your Android Smartphone. Now just open Google Play Store on your Smartphone and search for any paid application. Remember the name of that application. Now open recently installed Blackmart Alpha application and search for that paid app there. Just click to download and install it on your Android device. You can also use 4shared to download apps for free. You will not be charged even a single rupee. The thing that is great about this app is that is works on both PC as well as your phone. This app is available in Google Play Store and can be easily downloaded from there. Also, files can easily be shared with other Android users. There are filters set so users have an option to choose and download from multiple version of the app depending on compatibility with their phone. To download apps from 4shared just search the app from 4shared like Temple Run Oz.apk and download it, then transfer it to your phone easily. Amazon also offers to download paid Android apps for free. Amazon’s mobile application is a huge source of paid Android apps to download them freely. 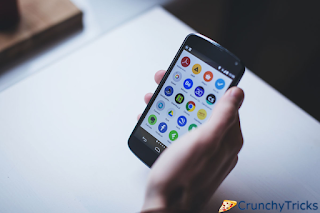 Daily new paid apps are added and this list is growing continuously. Similar to Google’s app verification method Amazon app store has also a feature “Test Drive”, through which you can verify or test apps before installation. Just download the app form below link and install it on your Android Smartphone. Search and get apps for free. Though these apps are completely free, but there should be precautions also so that these apps don’t harm your Android device.